Université Laval (English: Laval University) is a French-language, public research university in Quebec City, Quebec, Canada. The University was founded by royal charter issued by Queen Victoria in 1852, with roots in the founding of the Séminaire de Québec in 1663 by François de Montmorency-Laval, making it the oldest centre of higher education in Canada and the first North American institution to offer higher education in French. The university, whose campus was erected from the 1950s onward in the suburban borough of Sainte-Foy–Sillery–Cap-Rouge, is ranked among the top ten Canadian universities in terms of research funding and holds four Canada Excellence Research Chairs. The university began as the Séminaire de Québec, which was founded in 1663 by François de Montmorency-Laval, a member of the House of Laval and the first Bishop of New France. During the French Regime the institution mainly trained priests to serve in New France. After the Conquest of 1760, the British expanded education in Canada to include the liberal arts. 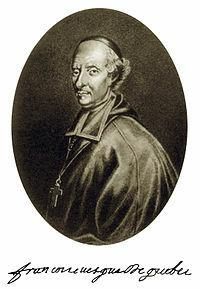 French Canadians had at the time no opportunity to pursue higher education, and Bishop Bourget of Montreal suggested expanding the Séminaire de Québec into Université Laval. Louis Casault, a priest who taught physics at the Séminaire de Québec, went to Europe to seek a royal charter and study the best university systems there. The Séminaire de Québec was granted a royal charter on December 8, 1852, by Queen Victoria, at the request of Lord Elgin (Governor-General of the Province of Canada), creating Université Laval with "the rights and privileges of a university". The charter was signed in 1852. Pope Benedict XV approved the plan and authorized the institution to establish chairs of theology and confer degrees. In 1878, the university opened a second campus in Montreal, which became the Université de Montréal on May 8, 1919, by a writ of Pope Benedict XV. In 1971, a second charter transferred all authority to the Université Laval council. By 1925, the university had outgrown its location. The Old City was very crowded, making it difficult to add new buildings to the campus. The university moved to Sainte-Foy in the 1950s, which at the time was a semi-rural community west of the Quebec city centre. The School of Architecture returned to the old building (now affectionately referred to as Le Vieux Séminaire) in 1989. In the early part of the 20th century, the need for higher education expanded beyond the classical fields of theology, law and medicine, and the university introduced science and social-science departments such as forestry and household science. :1904 In addition, graduate training based on the German-inspired American model of specialized course work and the completion of a research thesis was introduced. "Laval", a waltz by French-Canadian ragtime composer, Wilfrid Beaudry, was dedicated to the students at Laval University and the University of Montreal. The music for piano was published in Québec by J. Beaudry, circa 1906. The university opened its department of social, political, and economic sciences in 1938, signalling a change of approach that continued into the 1960s, based on an idea of higher education as the key to social justice and economic productivity for individuals and society. The royal charter that founded Université Laval in 1852 was designated a National Historic Event in 1972. After it was granted a university charter, several buildings were built in Old Quebec, including the School of Chemistry (1923), the addition on Ste. Famille Street (1931), the Mining School (1938), and the cafeteria building (1945), all by architect Joseph Simeon Bergeron. However, the neighborhood was already crowded and activities later moved in nearby Sainte-Foy, which was more spacious. Today's campus covers 1.2 km2 (0.46 sq mi) and has over 30 buildings (also called pavillons), including many iconic exemplars of modern architecture. Its earliest buildings and landscapes were designed by Edouard Fiset (fr) from the 1950s, and of its lands, 56 percent are wooded areas, grasslands, and sports fields . Pratically all buildings are linked by 10 km (6.2 mi) of underground walkways, which are particularly useful in the winter and whose walls are mostly covered by murals painted by student associations and student visitors over the years, as well as graffiti. The campus is also home to the Roger-Van den Hende botanical garden (fr) which contains some 67 species of deciduous and coniferous trees and 60 different species of birds. The Louis-Jacques-Casault building also hosts the regional branch of the National Archives of Quebec. The sport building is called PEPS and is said to be the largest sport complex in eastern Canada. It is adjacent to the covered TELUS stadium (fr). Apart from the school of architecture, located in Old Quebec since 1988, the only out of campus facilities are the school of visual arts in the downtown neighborhood of Saint-Roch's, and the experimental Montmorency forest (fr) (70 km (43 mi) north of Quebec City). As of 2002, Université Laval offered over 350 programs to more than 38,000 students. The university also attracts more than 2,500 foreign students annually, and has almost 1,000 students drawn from Canadian provinces outside of Quebec. Many students come to the university for the Français pour non-francophones program that offers instruction in French as a second language to students from Canada and around the world. It is also the only university in Quebec which trains forestry engineers. Since the mid-1980s, Université Laval has offered distance learning; over 30 programs and 400 courses are offered by distance learning, of which 80% are accessible from the internet. * The Département des Sciences des Aliments et de Nutrition has an accredited dietetic program. The university is accredited by a professional organization such as the Dietitians of Canada and the university's graduates may subsequently become registered dietitians. ** The Faculty is part of the AUFSC and has accredited baccalaureate of science programs with specializations in forestry & environmental management; forestry operations (co-op) and forestry engineering. Québec university holds four of the 19 Canada Excellence Research Chairs awarded nationwide: Canada Excellence Research Chair in Remote Sensing of Canada's New Arctic Frontier, Canada Research Excellence Chair in the Microbiome-Endocannabinoidome Axis in Metabolic Health, Canada Excellence Research Chair in Photonic Innovations, and Communication and Canada Excellence Research Chair in Neurophotonics. Les Presses de l'Université Laval, which was founded in 1950, deals with Canadian civilization, literature, medieval studies, law, social sciences, physical sciences and engineering. It publishes some 120 book per year. The Coopérative de l'Université Laval is engaged in the sale of products to customers throughout the university, such as books, lecture notes and computers. Athletics take place at the PEPS complex. Laval's varsity sports teams are named the Rouge-et-Or (Red & Gold). As of 2017, the men's football team of Laval won nine Vanier Cups since 2003 and has thus the most titles in the country, followed by the Western's Mustangs (6 Vanier cups). Jean, Grand Duke of Luxembourg. Louis St. Laurent, 12th Prime Minister of Canada. Brian Mulroney, 18th Prime Minister of Canada. Jean Chrétien, 20th Prime Mininister of Canada. Jacques-Édouard Alexis, 9th Prime Minister of Haiti. Niklaus Wirth, designer of several programming languages. Charles Fitzpatrick, 5th Chief Justice of Canada. ^ a b c "Quelques chiffres". Université Laval. ^ "The Project Gutenberg eBook of The Makers of Canada: Index and Dictionary of Canadian History, Edited by Lawrence Johnstone Burpee and Arthur G. Doughty". Retrieved 28 August 2015. ^ a b Langton, Hugh Hornby; Macallum, Archibald Byron (1906). The University of Toronto and its colleges, 1827-1906. The University Library, pub. by the librarian. ^ Wilfrid Beaudry (1906). "Laval". Amicus.collectionscanada.gc.ca. Retrieved July 1, 2016. ^ Behiels, Michael, "Le père Georges-Henri Lévesque et l'établissement des sciences sociales à Laval: 1938–1955", Revue de l'Université d'Ottawa 52, no. 3 (juil.-sept. 1982). Appears in English translation in "Youth, University, and Canadian Society", edited by Paul Axelrod and John G. Reid. Kingston and Montreal: McGill-Queen's University of Press, 1989. ^ "Founding of Université Laval National Historic Event". Directory of Federal Heritage Designations. Parks Canada. Retrieved March 27, 2019. ^ "Bergeron, Joseph Simeon". Retrieved 2 November 2018. ^ "Pavillon de l'Éducation physique et des sports (PEPS) (Université Laval)". Québec Original. Retrieved 2018-11-02. ^ "Historique - École d'architecture". Université Laval (in French). Retrieved 2018-11-02. ^ "Canada Excellence Research Chairs". www.cerc.gc.ca. Retrieved March 29, 2017. ^ "Presses de l'Université Laval - Editeur de livres universitaires". Pulaval.com. Retrieved 2018-07-16. ^ "Western's Marshall hoping to win first Vanier Cup". TSN. 2017-11-24. Retrieved 2018-11-02. Wikimedia Commons has media related to Université Laval. "Laval University of Quebec" . Catholic Encyclopedia. 1913. "Laval University" . The New Student's Reference Work . 1914.